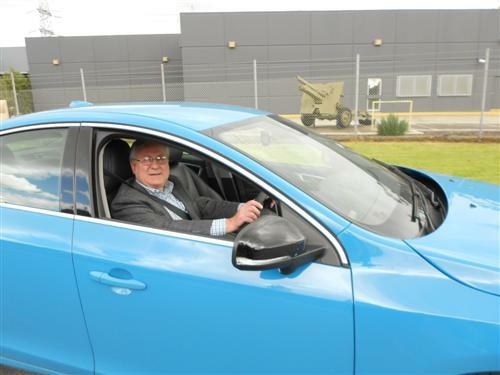 Just as folks get used to the fact that Volvo Cars is doing an excellent job with performance cars that deliver a respectable degree of sportiness the company send along the S60 Polestar to prove they know quite a lot about high performance cars too! With Volvo Cars preparing to enter the V8 supercars series next year with a factory backed team, the company is really make a go of the Polestar connection. The collaboration has worked well in Swedish motor sport and thrilled many a Swede. 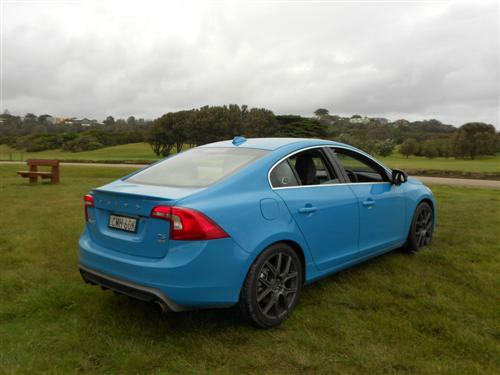 Now Volvo and Polestar are readying themselves for aussie enthusiasts. What a great idea! 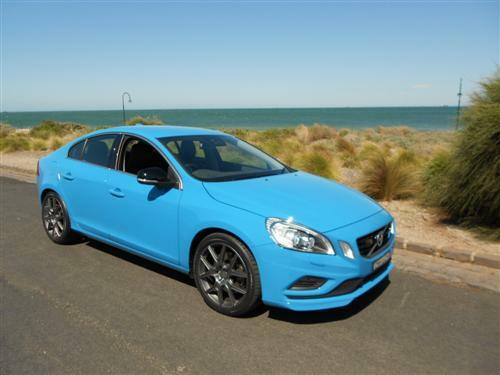 Showing off in its delightful shade of Rebel Blue, our Volvo S60 Polestar test car provided an enjoyable experience around Melbourne and beyond, way down to Flinders in fact. 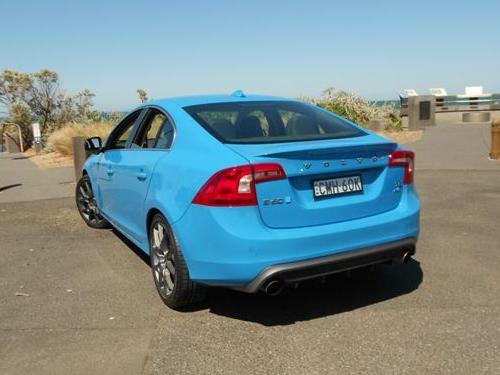 The base price* for the Volvo S60 Polestar is from an appealing $109,950*. At this price, there are some cars that need to hang their automotive head in shame. This Volvo can cause embarrassment to some 'performance' cars! That makes the S60 Polestar's price* quite an attractive proposition. Everything about the Polestar provides immense satisfaction. The S60 is a particularly good starting point for any automotive project, but the Polestar just adds so much to the thrill component. 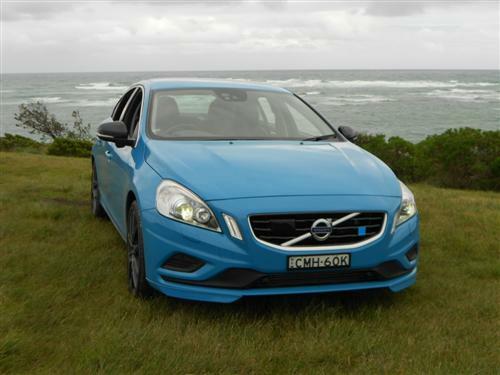 With a quiet manner, the S60 Polestar goes about its business in an exceptionally competent manner. The ride is pleasantly smooth and compliant, with a touch of firmness that avoids the harshness of some performance cars. The all-wheel drive makes the car sure-footed whilst the direct steering is a valued contributor to the pleasure provided in driving the Polestar. Effective brakes and suspension complete the picture. 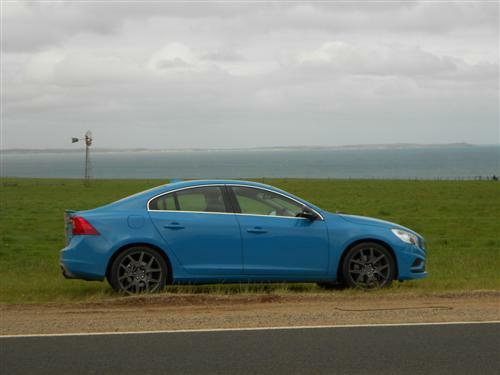 We drove over 300 kilometres during our time with the S60 Polestar. Before you take a friend for a 'run' in the S60 Polestar do not let on that this machine will knock over a zero to 100 km/h dash in an astonishing 4.9 seconds. This car is bound to be the surprise car in your street ... in any street actually! Volvo have decked out the S60 Polestar to admirably reflect the luxury that is expected in an over $100,000 car. If I was asked, I wouldn't suggest any changes at all. Everything is in the right place and the controls are relatively intuitive, making for an enjoyable drive experience every time you jump into the 'saddle'. 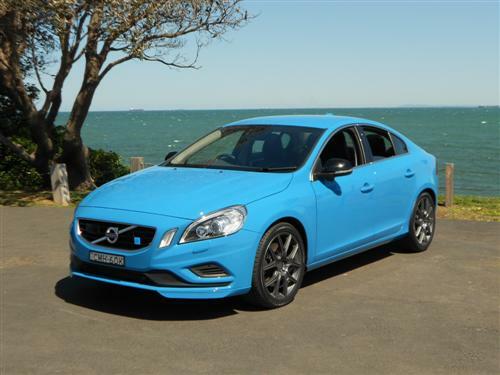 Four colours are available amongst the limited number of S60 Polestars that have landed in Australia - Blue, Red, White and Metallic Black. Performance is provided by a Polestar tweaked, three-litre six-cylinder in-line petrol-fuelled turbocharged engine. Power is rated at 257kW at 5,700 rpm, whilst torque is a welcome 500Nm at 2,800–4,750 rpm. A six-speed automatic transmission is standard and provides very smooth gear changes. 'Paddles' are fitted. All-wheel drive is standard. This provides excellent traction in normal driving conditions - remembering the the S60 Polestar is a high performance car! The power steering is speed-sensitive. The steering wheel adjusts for both reach and height, which is a good thing in any car. Brakes are ventilated discs all around. 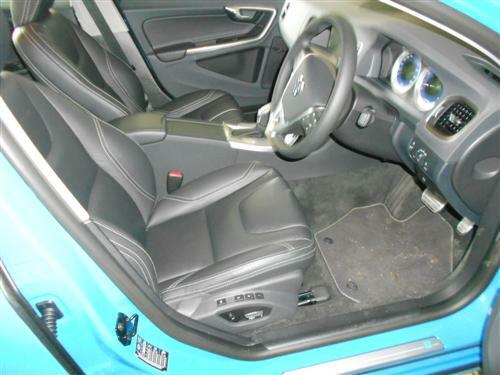 An electric parking brake is standard and it features a drive-away release. Nineteen-inch alloy wheels are standard. The spare wheel hinders the boot space. 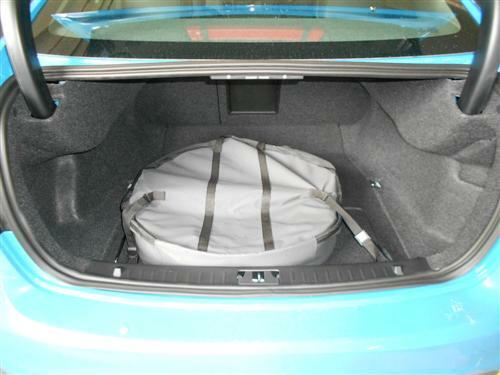 It wouldn't disrupt my usual motoring arrangements but if you need good boot space on a regular basis you may need to consider going 'spareless' because as the accompanying image shows the spare is dead centre in the boot. Keyless entry and start; black leather upholstered front sports seats with some electric controls, memory settings and a heating function; 'sports' pedals; bi-xenon active bending lights with a headlight wash system; auto dimmed rear view mirror; and so much more. AM/FM radio; CD/DVD player (single disc); MP3; Dolby Pro Logic II Surround system; 10 speakers; 7" colour screen; Bluetooth; USB; iPod connectivity with audio streaming; auxiliary audio input and a navigation system are all standard inclusions. A superb range of advanced safety features are included with the S60 Polestar. Volvo are to be commended for including such systems as Lane Departure Warning; Forward Collision Warning; Adaptive Cruise Control and Collision Warning with Full Auto Brake; City Safe; Blind Spot Information; Dynamic Stability and Traction Control; Advanced Stability Control; Emergency Brake Assist; six airbags and more. Importantly, a reversing camera is included - very helpful in tight parking situations and on driveways. The five star crash worthiness rating by both EuroNCAP and ANCAP comes as a result of a test on the V60 diesel wagon. EuroNCAP indicate the result of the European spec wagon is the same as a European spec sedan. The result in EuroNCAP testing was an amazing 36.34 out of 37. Not many cars can beat this! On the 'combined cycle', fuel consumption for the S60 Polestar is rated at a very reasonable 10.2 litres/100 kilometres. The fuel tank capacity is 67.5 litres. CO2 emissions rating is 243 grammes/kilometre for the 'combined cycle'. 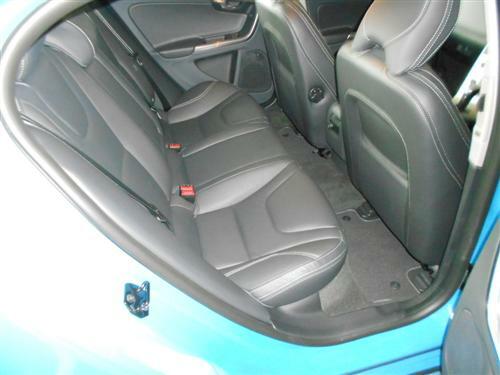 Boot capacity: 380 litres (regular S60). 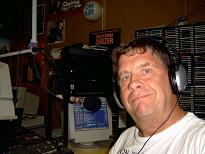 A warranty for 3 years applies (with conditions, of course) as does Roadside Assistance. Prior to expiring, both the warranty and roadside assistance can be extended for one or two years with no restriction on the distance covered (conditions apply). Volvo Cars is planning on the S60 Polestar becoming a regular model in its expanding model line-up. Volvo has recognised to continuing demand for performance cars and they have an excellent arrangement with Polestar that is sure to prove beneficial for the both companies and for motoring enthuiasts alike. Next Car will have more news on the future of the highly desirable Volvo S60 Polestar in the very near future. After enjoying the Volvo S60 Polestar you do not end up speechless, you just say ... wow! And you ask yourself just how did Volvo make it so good? Let me emphasise that the Volvo S60 Polestar is the everyday user friendly high performance car that will enhance any motoring experience. Let me repeat myself, I said wow! ..... and that is exactly what I mean!